Type 10 closed body turnbuckles have a sleek, modern profile with no sharp edges. 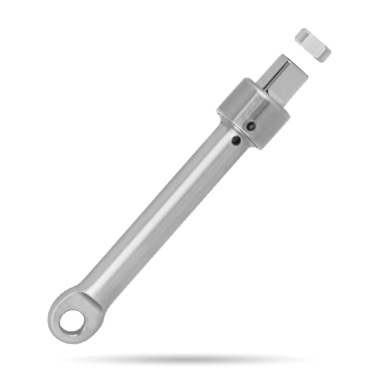 They are easily adjusted by turning the unique adjustment nut, which is free to rotate within the sleeve on the turnbuckle body, and are secured with a quick turn on the locking nut. A sight hole is provided in the body to verify adequate thread engagement. With fine thread and single end adjustment, Type 10 turnbuckles are much easier to adjust than conventional turnbuckles, and the use of dissimilar but compatible metals for the threaded components avoids the risk of thread seizure. Toggles end models are also available, designed with full lateral articulation for easy installation and connection compatibility. For accurate, repeatable settings of rig tension and precise adjustment, calibrated turnbuckle models are also available for wire sizes up to 6mm (1/4"); thread sizes 1/4", 5/16", 3/8" UNF.